Mahongany Inlaid Erickson Drum Table Sale! 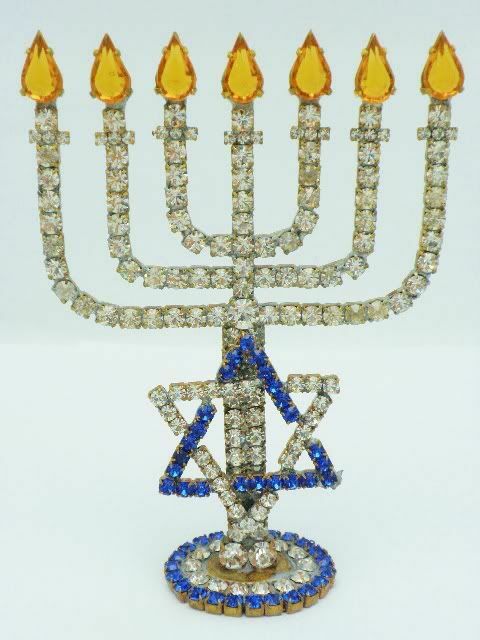 Hand crafted Czech crystal rhinestone Menorah. 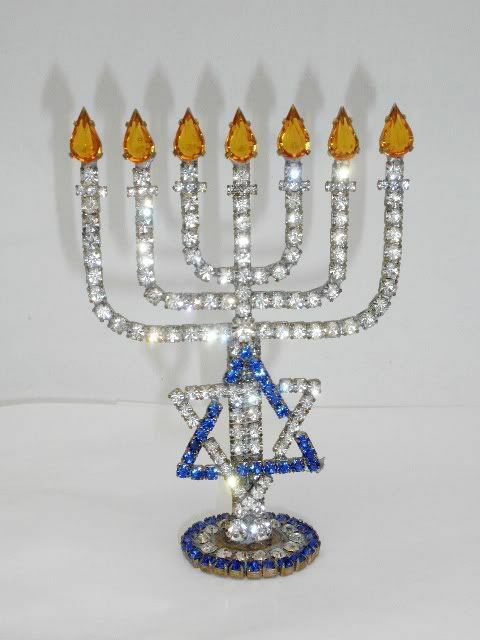 This piece is modern and was custom made for us in the Czech Republic. 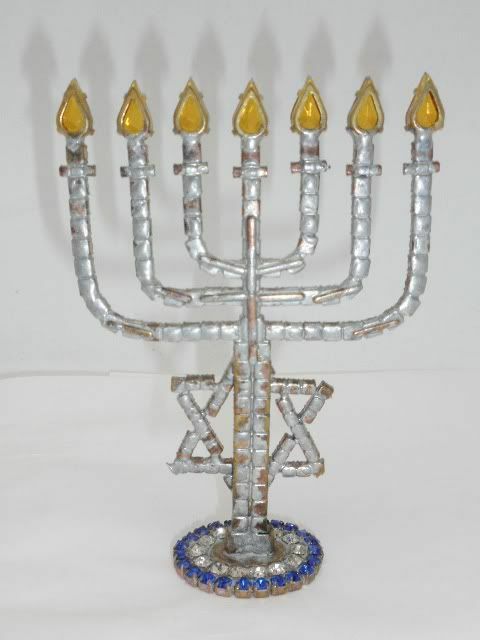 The Menorah measures 4 3/4" tall by 3 1/2" wide . The oval base is 1 1/2". 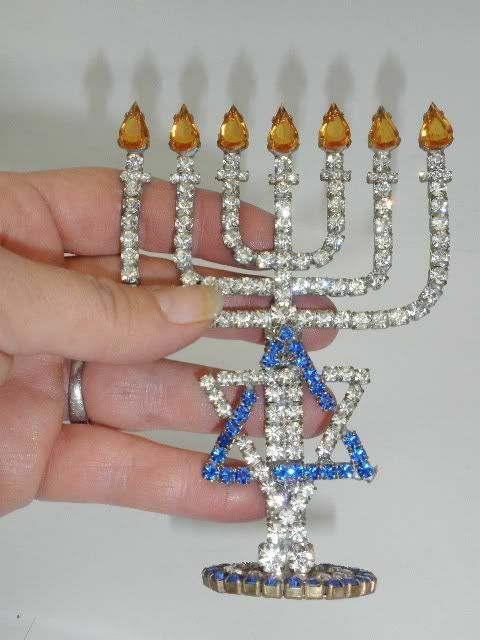 Truly a pretty piece.